Safrole acts as natural pesticide. In lab, it is synthesized from catechol. It is precursor in the synthesis of a few insecticides of methylenedioxybenzene group, especially piperonyl butoxide. Safrole was found in sassafras tea, root beer, perfumes and soaps. In rat study, it was found to be a carcinogenic. It is banned by the FDA after detection of its carcinogenic properties. 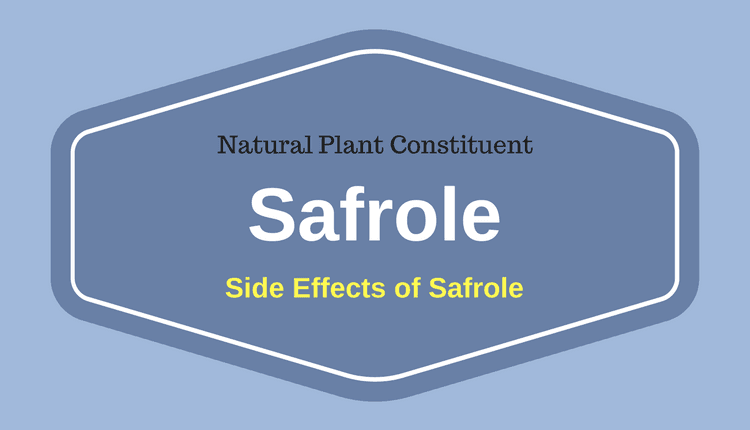 The oral intake of Safrole caused liver enlargement (hepatomegaly), benign and malignant tumours in rats. After ban by the FDA, now sassafras oil is devoid of safrole. Therefore, it might be possibly safe. However, tea prepared from sassafras root bark also contains safrole, which may be a health concern, especially it taken on regular basis. Brown camphor oil contains around 80% safrole. Therefore, it should not be used for any health benefits and should not be added in medicines. In place of it, white camphor oil can be useful because it contains very small amount of safrole and might not cause any adverse effect.